Meet Among The Richest Fighters in Southeast Asia. Here's The Best Five! 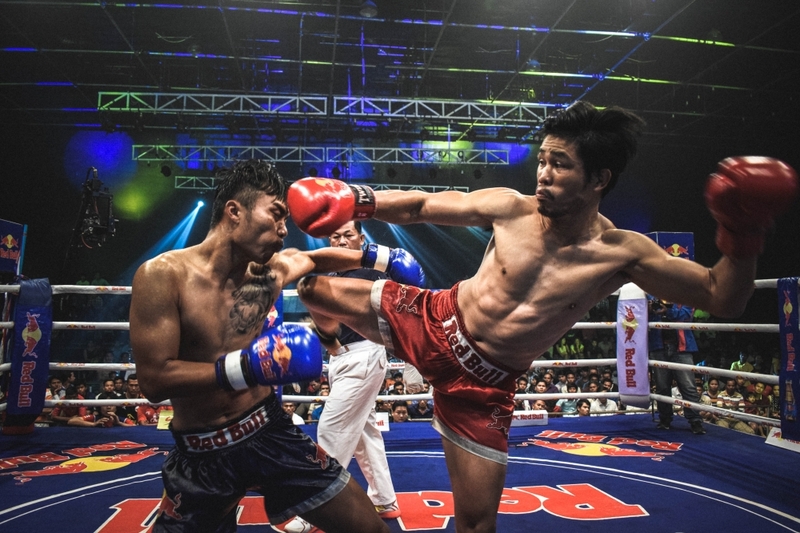 Mixed martial arts is forever expanding and branching out into a variety of different regions, and South East Asia is no exception to that. According to Fox Sports, some of the most intriguing and talented fighters on the planet stem from that part of the world, and the following five fighters have certainly been able to utilise their skills in a way that has been of great benefit to them. As a disclaimer, there’s no way for the sports news portal to individually validate the claims that they’re making – which is why there are no actual figures involved here. They’re purely looking at things from an analytical point of view, with the belief that they've picked out five fighters who have proven themselves to be hot commodities to the point where Fox Sports wholeheartedly believe they’ve been able to earn a solid living. At the age of 22, it’s no exaggeration to state that Angela Lee could well be the future of women’s mixed martial arts. She is one of the faces of ONE Championship and it seems like the only way is up for her, especially given the kind of money that is on offer with the promotion. In the next ten years, Fox Sports would argue she could become one of the highest earning fighters in the world – let alone Southeast Asia. Martin Nguyen is a two-weight world champion, and it doesn’t take a rocket scientist to figure out that there are perks which will come with such an accomplishment. He has great drive and determination to the point where anything is possible, with his skills and personality helping to take him to new heights. Saenchai is one of the kings of the Muay Thai world, at least in our mind. He’s strong, efficient and makes no secret of the fact that’ll attempt to win the fight by any means necessary. He’d fight anywhere, any time and at any weight class, which is probably what made him so accessible to the fans. He can retire a happy man, and in all likelihood, a rich man in his native home of Thailand. Brandon Vera has made no secret of the fact that he’s venturing into the world of acting, and now that he has resumed his mixed martial arts career, the sky is the limit for him. Vera was able to earn some decent money in the Ultimate Fighting Championship, and now, he’s on top of the world as the Heavyweight Champion with the rising ONE Championship promotion. With well over 250 professional Muay Thai fights to his name as well as a series of appearances on the big screen, it doesn’t take a rocket scientist to realise that Buakaw Banchamek has been able to make a good living for himself. He has been able to win more titles than we can count, and he’s done so with great technique and a cool, calm & collected mentality.